After much deliberation, Team MCDN has finally settled on the destination for this summer's flying trip. We knew we wanted to go back to the Alps so the debate centered on a return to Austria or breaking new ground in Switzerland. 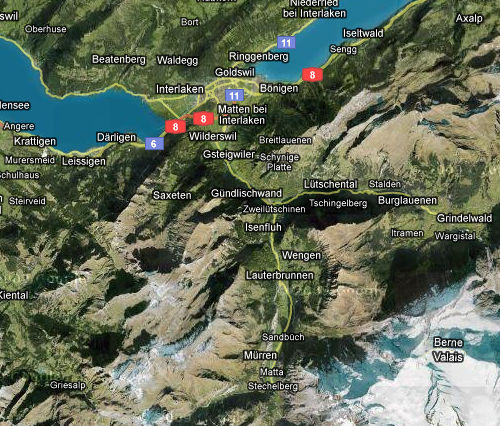 In the end the idea of flying new sites, the abundance of places to explore and cheap airfare all lead us to pick Switzerland, specifically the Interlocken area. We will renting an apartment in the mountain village of Wengen in the shadow of the Jungfrau and the Eiger. SkyKing Boser won't be making it so we MIGHT have room for one more if you think you can put up with Ric Flair and the 2 Rob's for a week.